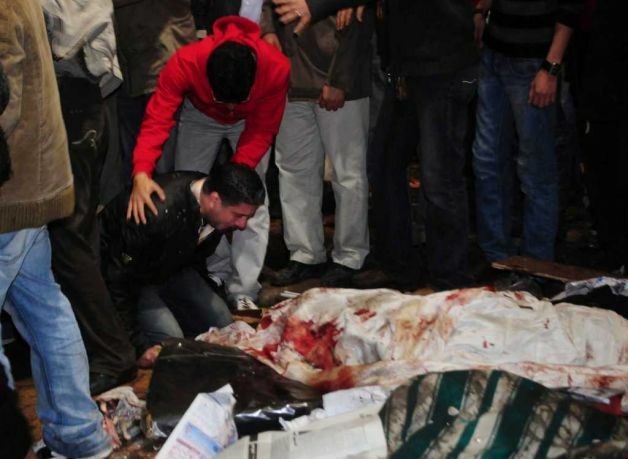 CAIRO – Security and hospital officials say Muslim-Christian clashes in the Egyptian capital Cairo killed 11 people and wounded more than 90. 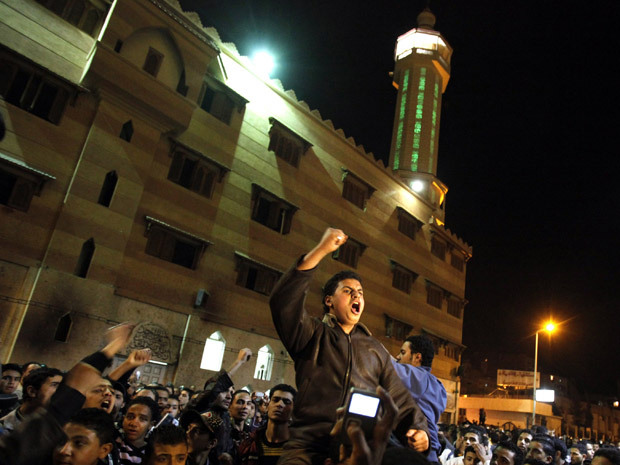 The clashes broke out Tuesday night when a Muslim mob attacked thousands of Christians protesting against the burning of a Cairo church last week. Muslims torched the church in a Cairo suburb amid an escalation of tensions between the two religious groups over a love affair between a Muslim and a Christian that set off a violent feud between families of the couple. 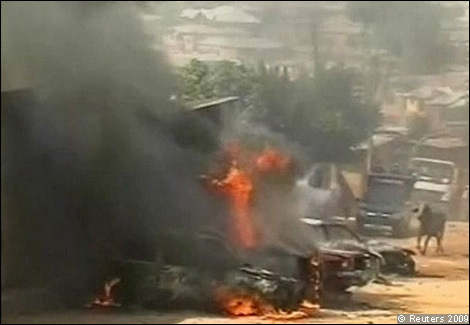 The officials said Wednesday that the killed were six Christians and five Muslims. They spoke on condition of anonymity because they were not authorized to speak to the media. 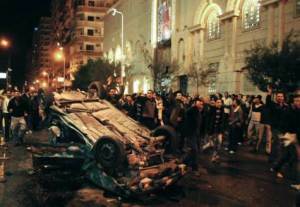 They said the clashes took place late Tuesday night and lasted several hours. The fighting involved the use of guns, clubs and knifes, they added. The officials spoke on condition of anonymity because they were not authorized to speak to the media. The clashes began when several thousand Christians protested against the burning last week of a church in a Cairo suburb by a Muslim mob following a deadly clash between Muslims and Christians over a love affair between a Muslim and a Christian. The Christian protesters on Tuesday blocked a vital highway, burning tires and pelting cars with rocks. 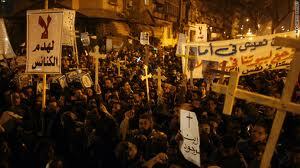 An angry crowd of Muslims set upon the Christians and the two sides fought pitched battles for about four hours. 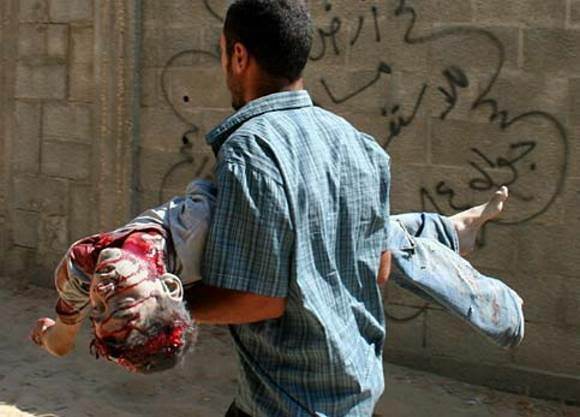 The six killed were believed to be mostly Christians who died of gunshot wounds. Tuesday’s clashes are the latest evidence of the security vacuum in Egypt that followed the ouster on Feb. 11 of President Hosni Mubarak at the end of 18 days of anti-government protests. 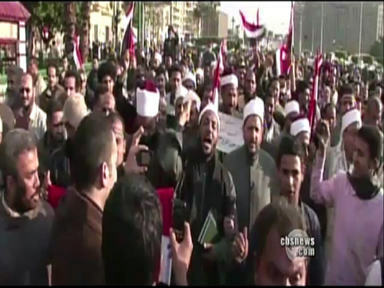 The police have pulled out from Cairo and several other cities three days into the uprising and are yet to fully take back the streets, a fact that has unleashed a wave of violent crime and even lawlessness in some parts of the nation. 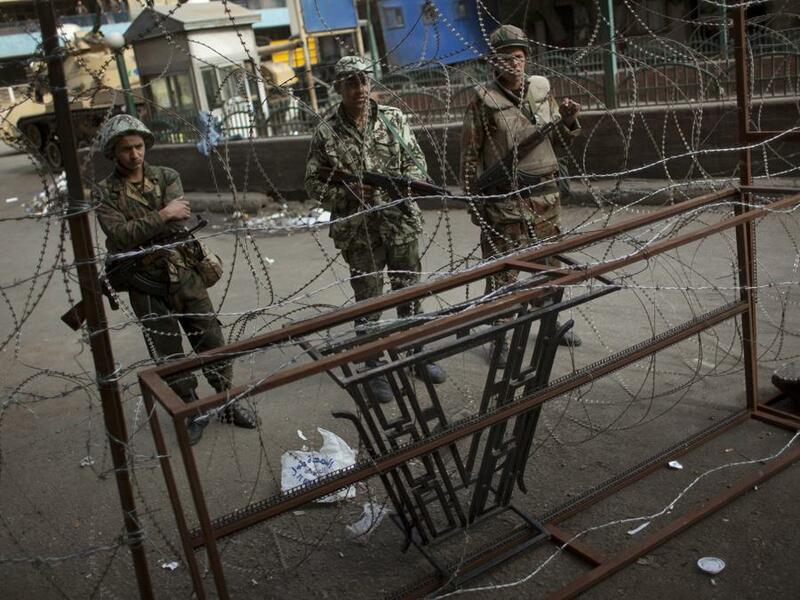 Mubarak handed power to the military when he stepped down but it does not have enough troops to police every street in Cairo, a sprawling city of some 18 million people that, at the best of times, looks like it is about to descend into chaos.